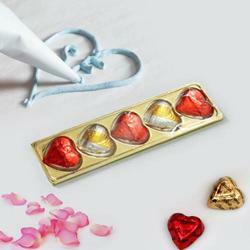 We all know that true happiness is found only in true love, but chocolates can deliver it. 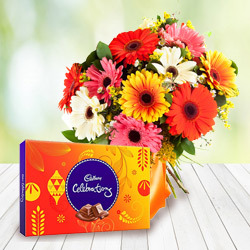 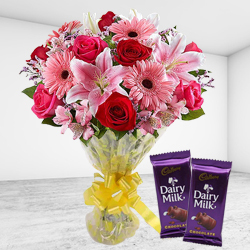 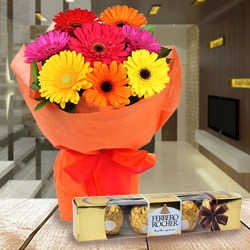 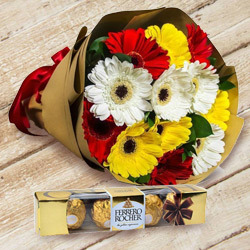 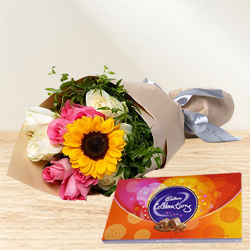 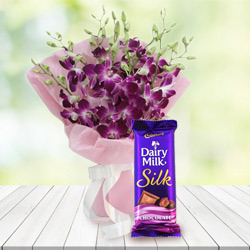 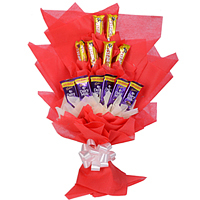 Why not deliver the same happiness to your loved ones with India Online Florists? 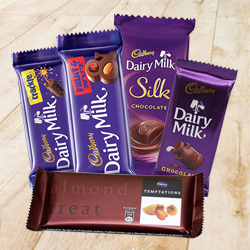 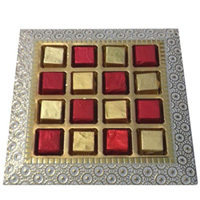 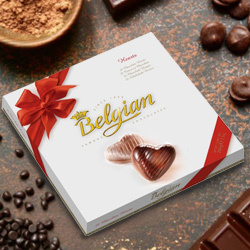 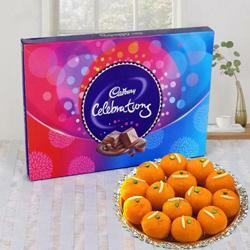 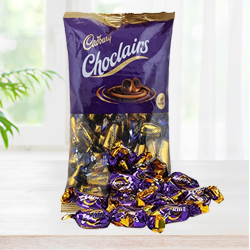 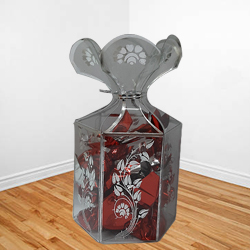 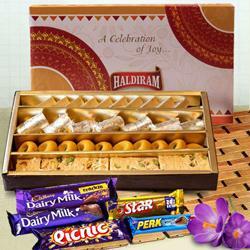 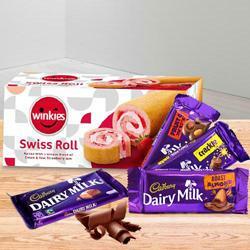 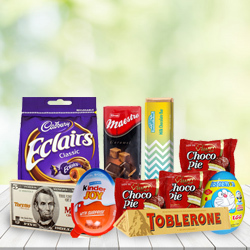 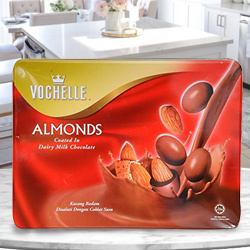 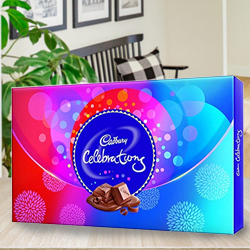 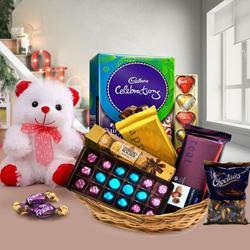 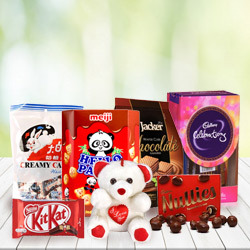 We enable you to send chocolates to India from Canada at a reasonable cost. 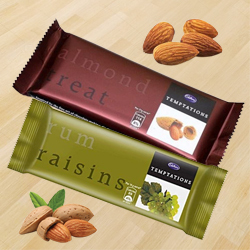 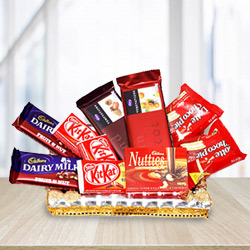 Browse through our choice of chocolates and we bet you will be split with options to choose from. 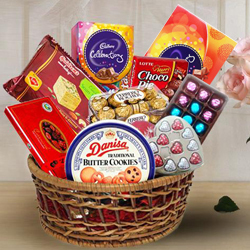 No matter what chocolate your special one likes, we are sure to have it. 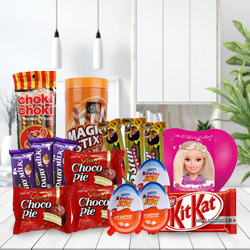 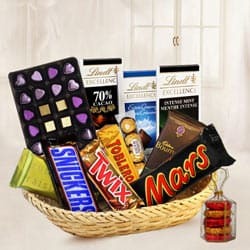 We have every chocolate you can possibly think of gifting your loved ones; be it Dairy Milk, Toblerone, KitKat, Silk, Bournville, Chocopie, Temptations or Nutties. 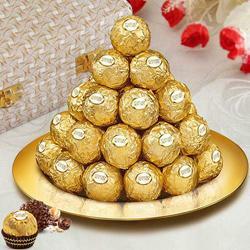 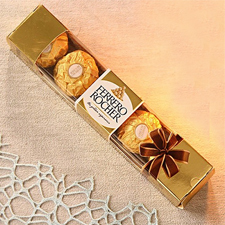 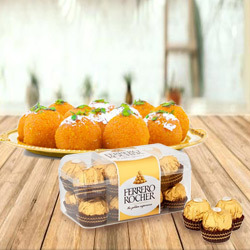 We also deliver homemade Ferrero Rocher chocolate online in India. 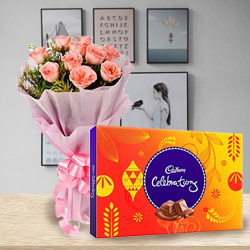 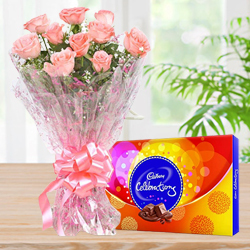 Whether you want to wish your mom a happy birthday or want to send Valentine's Day chocolate online to India; we have just the right chocolates for you. 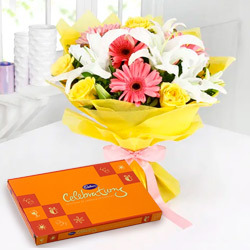 You can surprise your loved ones at the stroke of midnight as we also provide midnight deliveries. 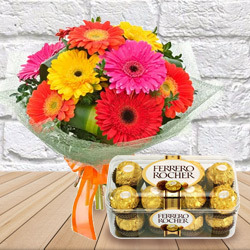 We've got your back even if you didn’t get time to plan for your loved ones beforehand with our same day delivery service. 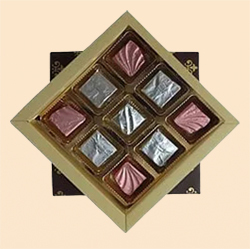 All our chocolates are tested for quality and freshness. 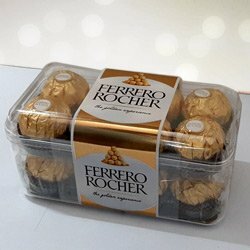 So you need not worry even if you want to send chocolates to India that are homemade. 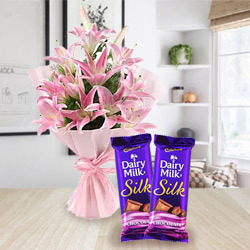 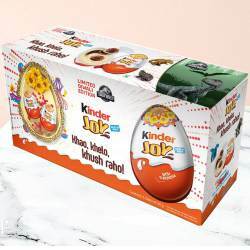 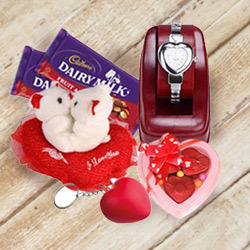 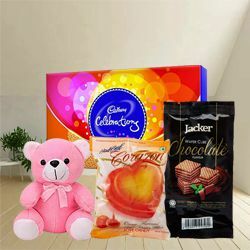 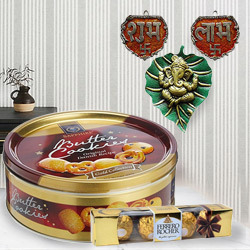 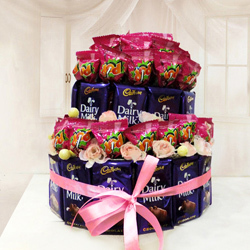 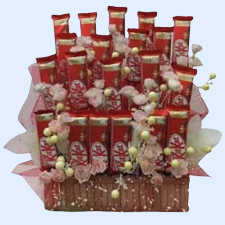 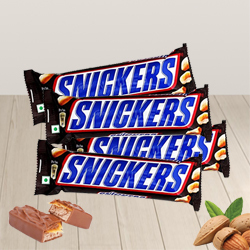 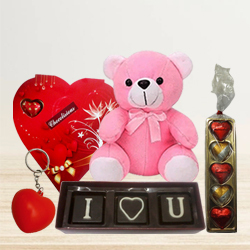 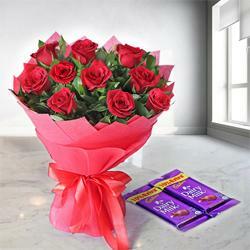 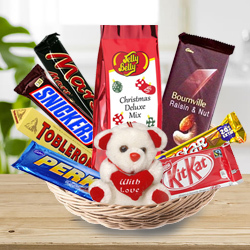 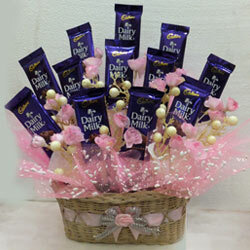 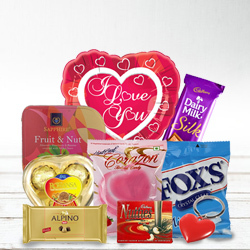 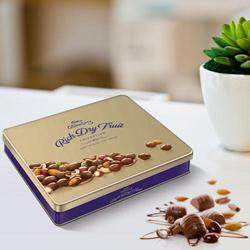 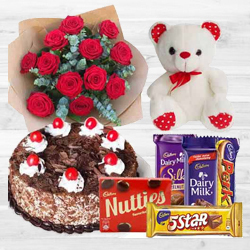 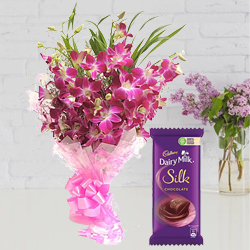 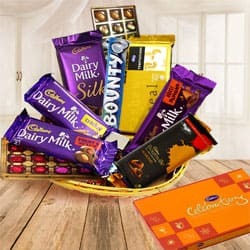 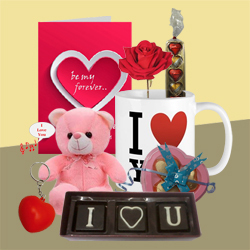 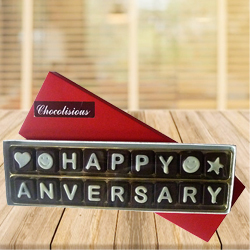 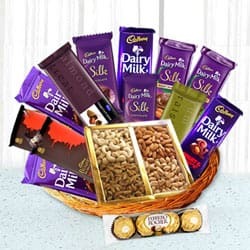 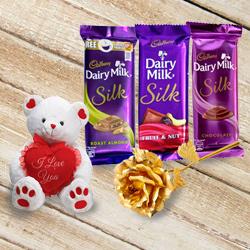 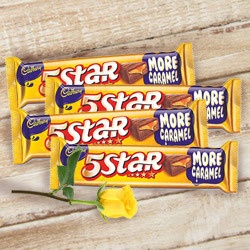 We can make the homemade chocolates according to your choice; whether you want to send chocolates engraved with ‘SORRY’ or wish to send chocolate bouquet online India. 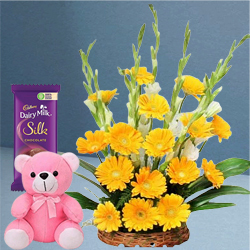 We do not compromise with the quality of our services nor do we overcharge. 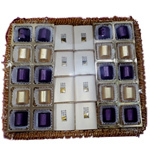 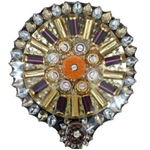 You can see that all our services and products are offered at reasonable prices. 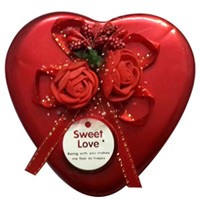 We also offer free shipping and have an easy refund policy. 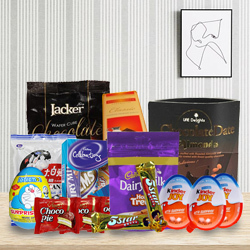 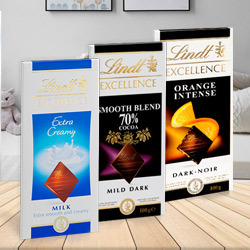 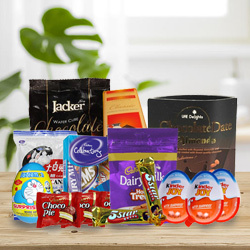 If you have any queries regarding our online chocolate gift delivery to India, you can contact our customer service which is available 24X7. 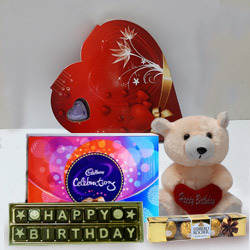 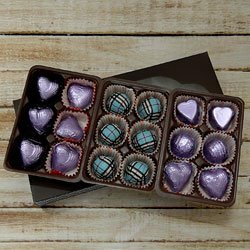 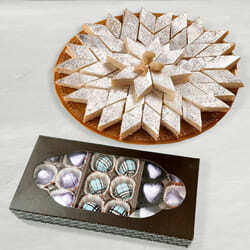 The site has never failed us in quality gift chocolates that we have sent to our family and friends. 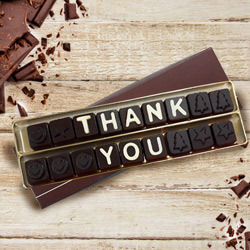 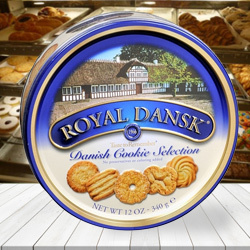 We really appreciate your endeavors in providing that small product with such a big smile. 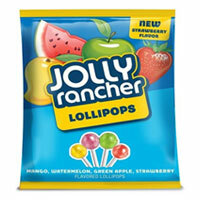 - Nathan, New Brunswick. 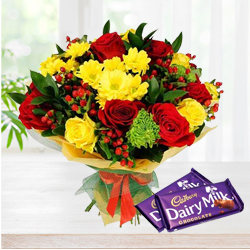 Simply the best, great product, amazing service and super fast delivery. 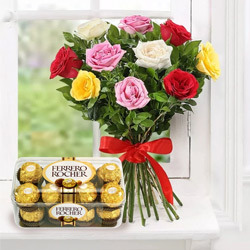 - Rachel, Ontario.